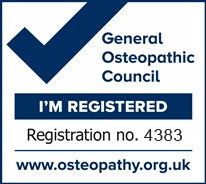 There is nothing to worry about when visiting an osteopath. I aim to see each patient as a whole taking time to understand each individual's health concerns in the context of their current situation. Firstly I take a case history, which is your chance to talk in detail about the problem that you have. We will also briefly talk about your general health, any medication you take and your past medical history. Emotional or psychological stresses may also be relevant, but you only need to share as much as you are comfortable with. 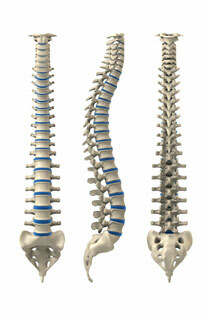 Next I assess your posture and mobility first standing and then lying on the treatment table. If necessary I may do a few relevant screening tests like reflexes or blood pressure. I will also look at the mobility of your joints and the general health of your tissues, along with underlying patterns of strain and tension in your body. Usually you will be asked to get undressed down to your underwear so wear something in which you feel comfortable. All patients are welcome to bring along a chaperone for the appointment if they wish. I will then give you my diagnosis, how I plan to help and an estimate of how many treatments might be needed. Your first appointment will conclude with a session of treatment and then a last review with you and planning our next appointment. Our treatments will focus on relieving the current symptoms and also addressing the underlying causes to help prevent recurrence. I will give advice on rehabilitation including exercises and advice about lifestyle. If I feel your problem requires input from a different specialist, I will be able to refer you.